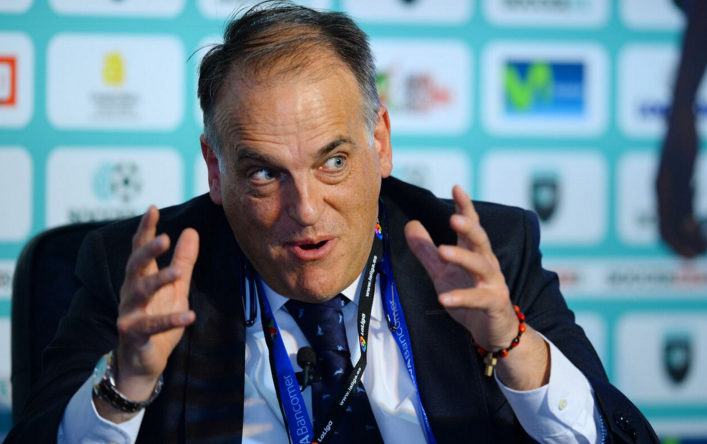 April 1 – LaLiga president Javier Tebas has hammered the plans of UEFA and the European Club Association to create what he calls a “SuperChampions League” that he says would only widen the divide between Europe’s rich and poor clubs and threaten the sustainability of national leagues. April 1 – The English Football Association has named internal candidate Mark Bullingham as the successor to outgoing Chief Executive Martin Glenn who is stepping down at the end of the season after four years in charge. March 29 – UEFA have opened disciplinary proceedings against the Republic of Ireland as a result of a protest from supporters which briefly interrupted last Tuesday night’s game against Georgia. 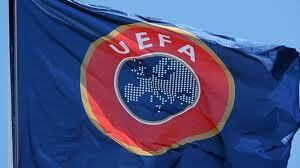 March 28 – Seventeen counties have expressed their interest in staging one of UEFA’s youth tournaments in 2021 and 2022. They must submit their bid dossiers by June 28. 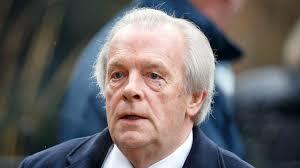 March 28 – Gordon Taylor, chief executive of the Professional Footballers’ Association (PFA) which represents players in England and Wales, is to step down after 38 years amid heightened criticism of his reported £2 million annual salary, believed to be one of the highest in the world for a trade union official. March 28 – Belgian football will be getting an U-21 league in the 2019-2020 season following approval of the additional competition by the country’s Pro League. 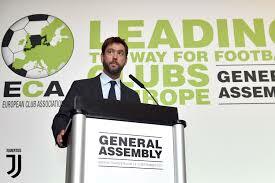 March 27 – The head of the umbrella body of Europe’s clubs has confirmed that talks over revamping the Champions League’ beyond 2024 are underway with UEFA but remains tight-lipped over what any future format might look like. 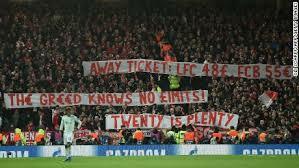 March 27 – UEFA and Europe’s leading clubs want to move against inflated away tickets prices in European club competitions by introducing a price cap following a dispute between Manchester United and Barcelona ahead of their quarterfinals tie in the Champions League. 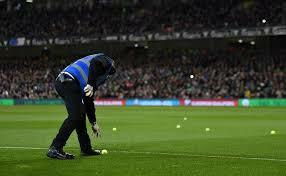 March 27 – Irish fans disrupted a Euro 2020 qualifier against Georgia on Tuesday by throwing tennis balls onto the pitch in protest at John Delaney’s continued role as a senior executive in the Football Association of Ireland (FAI). March 26 – Europe’s leading clubs today re-iterated that they will refuse to participate in Gianni Infantino’s revamped Club World Cup – but have not ruled out changing their minds for future editions if their needs are accommodated. 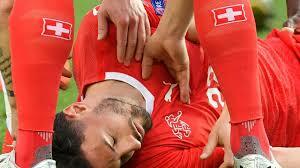 March 26 – A serious clash of heads involving Swiss international Fabian Schar has prompted calls for a UEFA investigation into why the defender was allowed to return to the pitch after being knocked unconscious last weekend in a Euro 2020 qualifier. 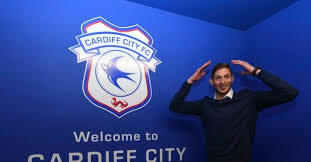 March 26 – The financial wrangling between Cardiff City and Nantes following the air crash that tragically killed Emiliano Sala continues to cast a dark shadow over the player’s untimely death. 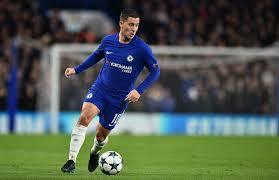 March 26 – The date for Chelsea’s appeal against being slapped with a two-window transfer ban has been set for April 11 after FIFA rejected suspending the ban until the appeal process was completed. March 25 – Italy’s football federation (FIGC) signed an agreement with the Chinese government on Sunday to develop footballing ties between the two countries but stopped short of agreeing to play Serie A matches there. 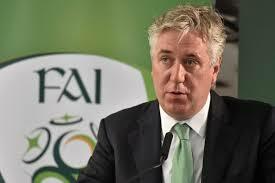 March 25 – Football Association of Ireland (FAI) chief executive John Delaney has stepped aside from the role just 10 days before he was due to appear before a parliamentary committee to be questioned over a €100,000 loan he provided to his federation two years ago.